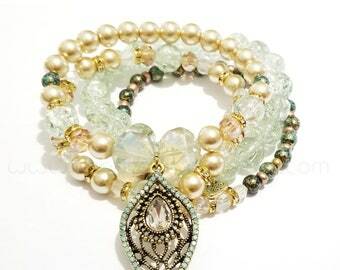 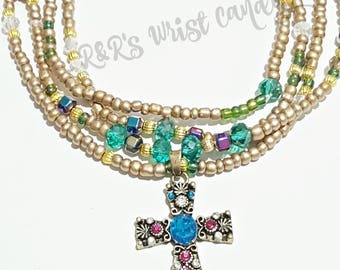 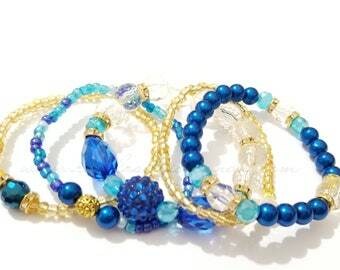 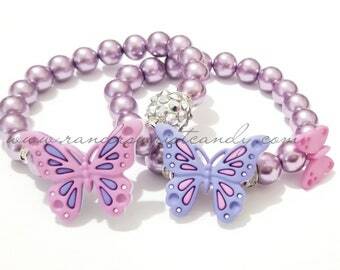 3 beautifully handcrafted beaded bracelets. 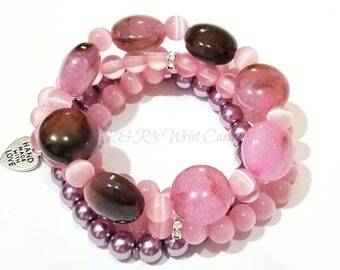 Great for casual wear or dressing up with. 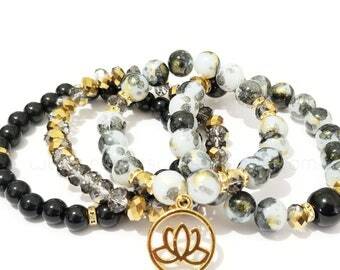 Also great gift idea for the holidays. 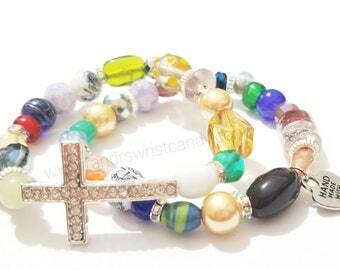 Made with 8mm & 10mm glass and acrylic beads. 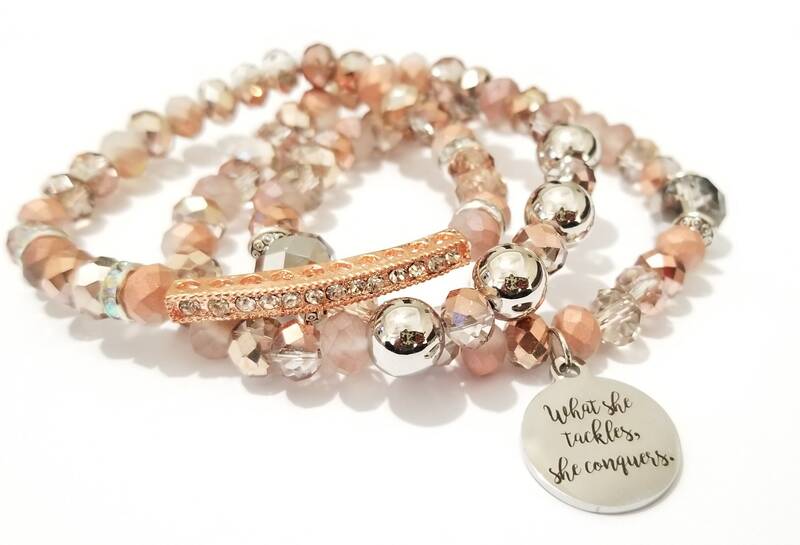 ♥Featuring an Inspiring Quote charm "What She Tackles, SheConquers"